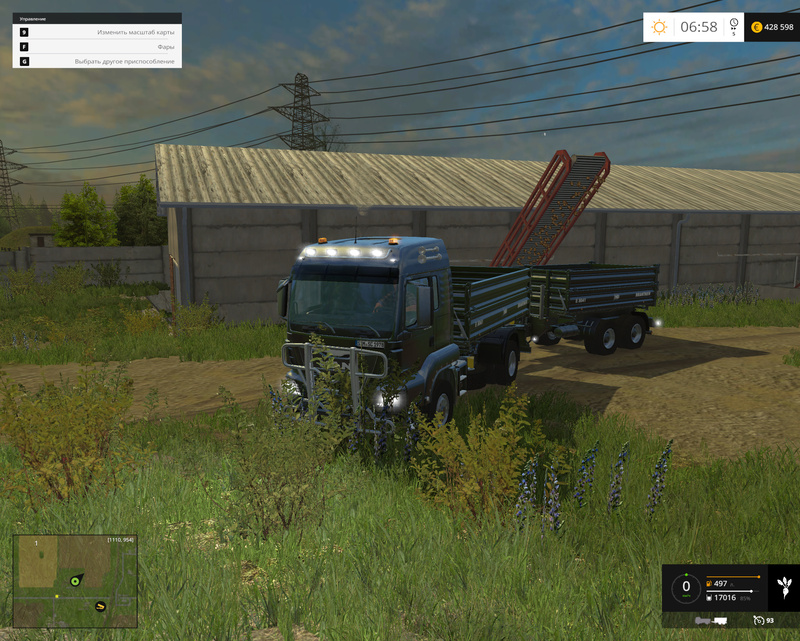 Mod MAN TGS 18.440 Tipper & Trailer v1.1″ for Farming Simulator 2015 – Truck (440 HP, 92 km/h Speedometer, tachometer, fuel, indicators, headlights and turn signals, mirrors, script, passenger, remove the “protection-kangaroo”) and a trailer (shoes). Lighting, color selection, trailer, wheel dust, road traces. Wash. Transporting: wheat, barley, canola, corn, sugar beets, potatoes, grass, hay, straw of wheat and barley, chaff, silage, fodder, forage, wood chips, manure, fertilizer, water, seeds, tomato, cucumber, Apple, pear, plum, cherry, orange, marmalade, wine, spring water (10000 + 10000 l).